So far, I have figured out that the lower limit on $z$ is $0$, and the lower limit on $y$ is also $0$. How would one go about calculating the upper limit on z and y as well as the limits for $x$? I believe there is another question similar to this, but it does not explain how to calculate the plane boundaries, which is what I'm having trouble with. Sorry for the crappy graph. The body is located between $0$ and $1$ in $x$-direction, hence $$ \int_0^1\ldots\ dx. $$ Now for each $x\in[0,1]$ you get the section of the body with the plane at $x$ that is parallel to $yz$-plane. 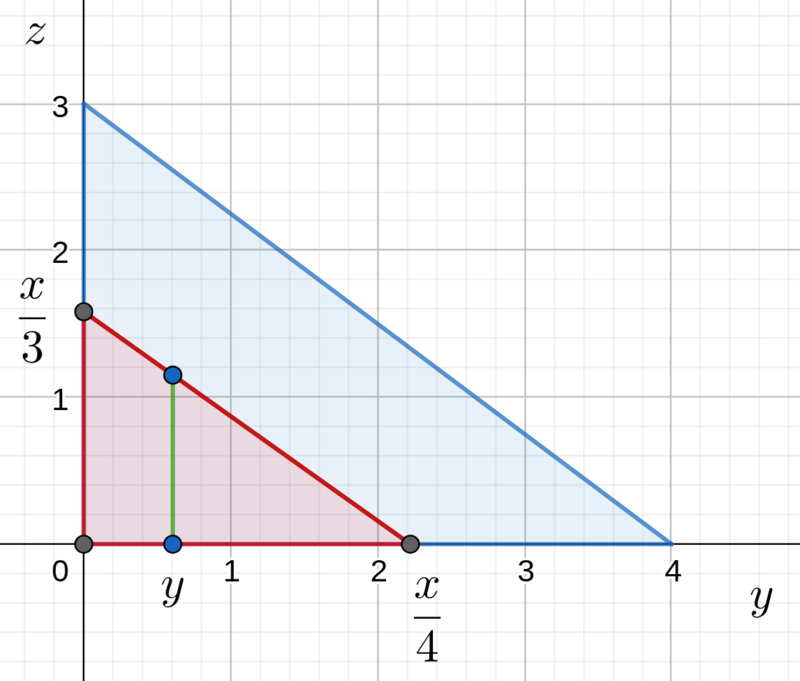 For $x=1$ you get the largest triangle, for $x=0$ you get one point (the origin), for $x$ somewhere in between you get a smaller proportional (similar) triangle (red in the picture below). Now the red triangle is located in $y$-direction between $0$ and some largest possible $y(x)$ - it is the integration limits for $dy$. At last, for each $y$ in the red triangle you can choose the integration limits for $z$ - from $0$ to the largest possible $z$ in the green segment. They may depend on both $x$ and $y$. Not the answer you're looking for? Browse other questions tagged integration multivariable-calculus plane-curves or ask your own question. 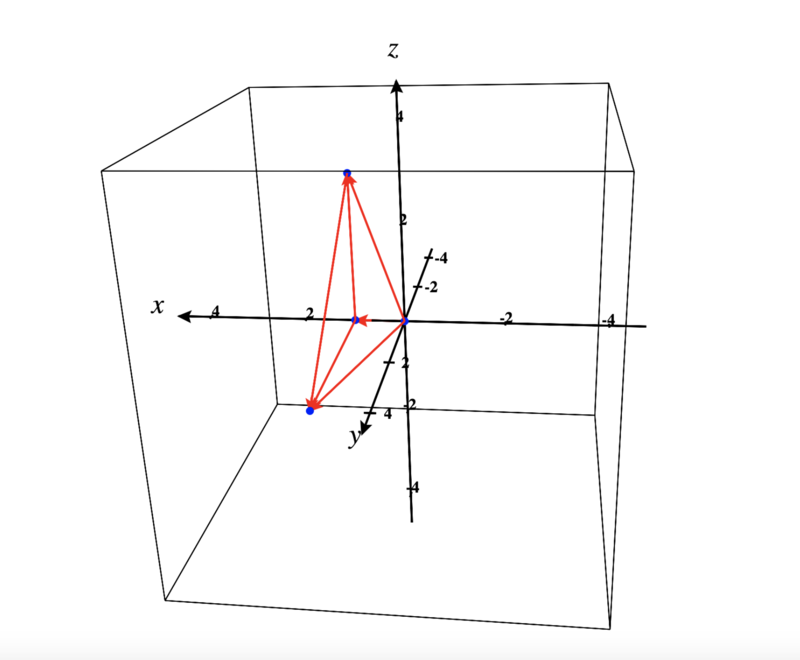 Find a transformation from tetrahedron to cube in $R^3$ to calculate a triple integral? Let B be the solid tetrahedron bounded by x = 0, y = 0, z = 0, and x+y+z = 1.